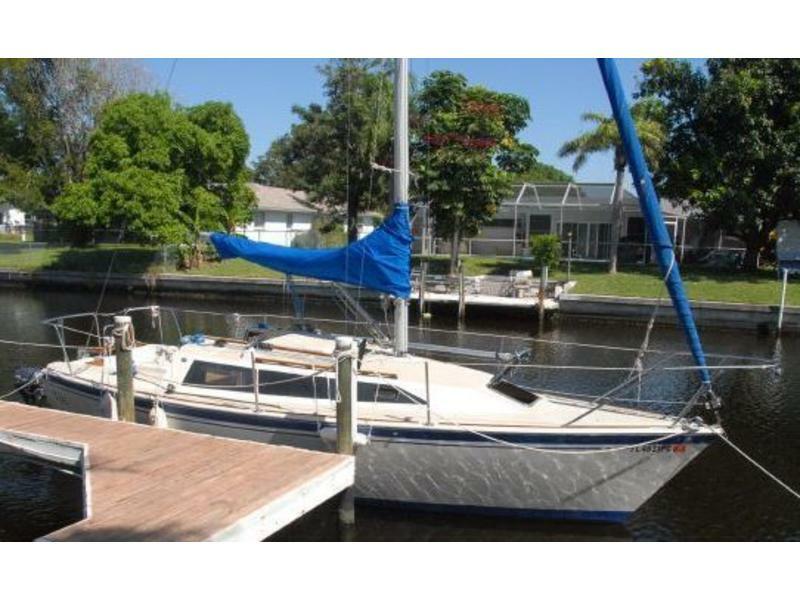 The O’Day 272 is a perfect family Sailing cruiser/racer. 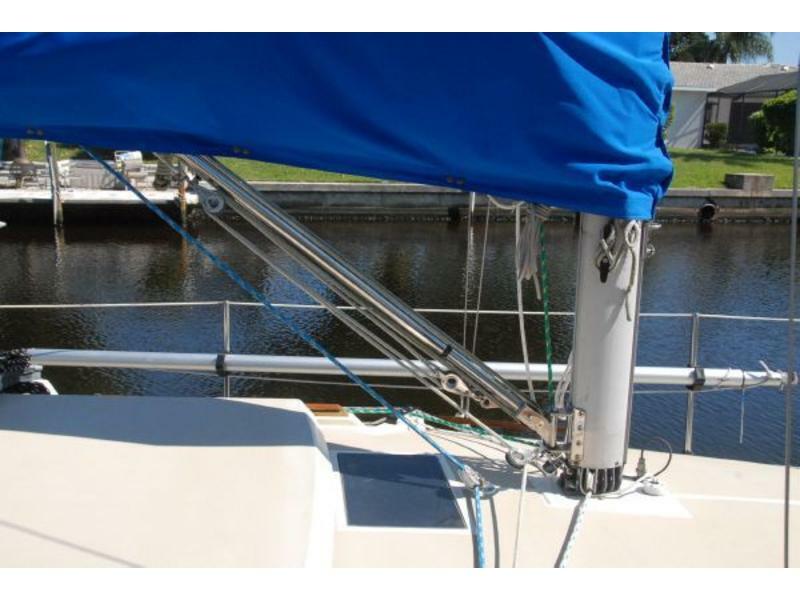 The ‘TIKI’ is rigged with a roller furling jib, mid boom sheeting and sail controls led aft. 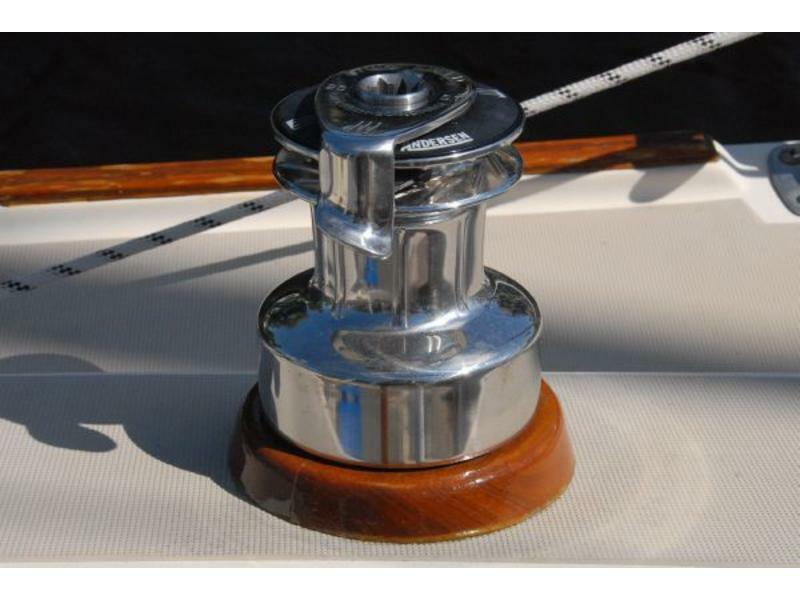 It has a modern wing keel made of lead (not iron) drawing only 2’11” and weighs in at 1870 lbs for good stability. 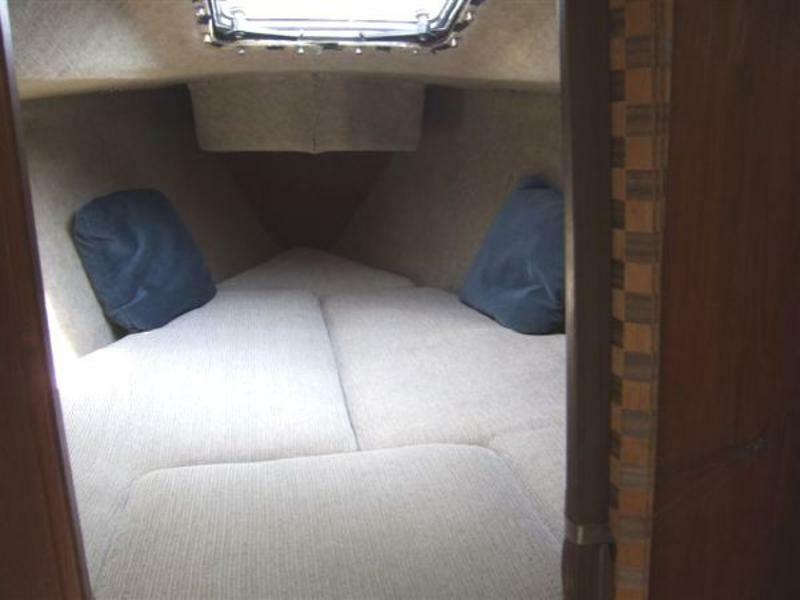 With 6’2″ interior headroom and a 7′ cockpit, she can be raced or cruised in comfort. 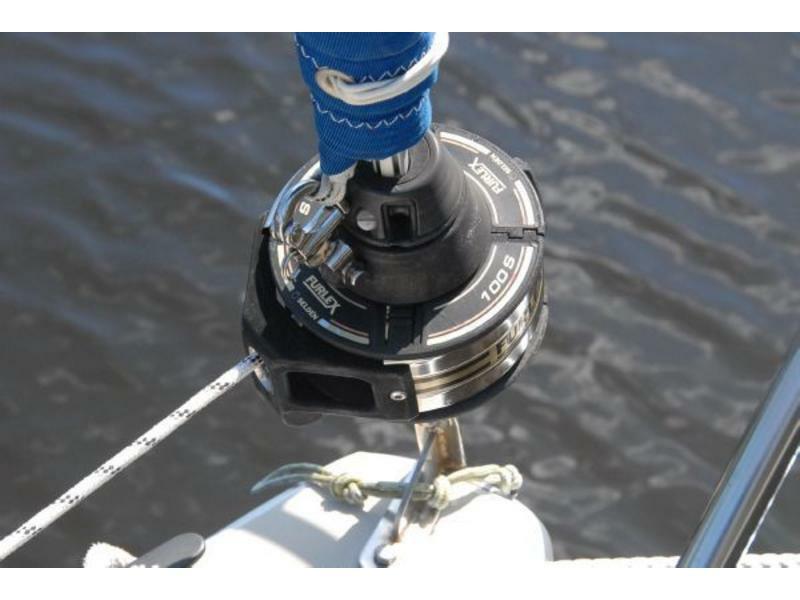 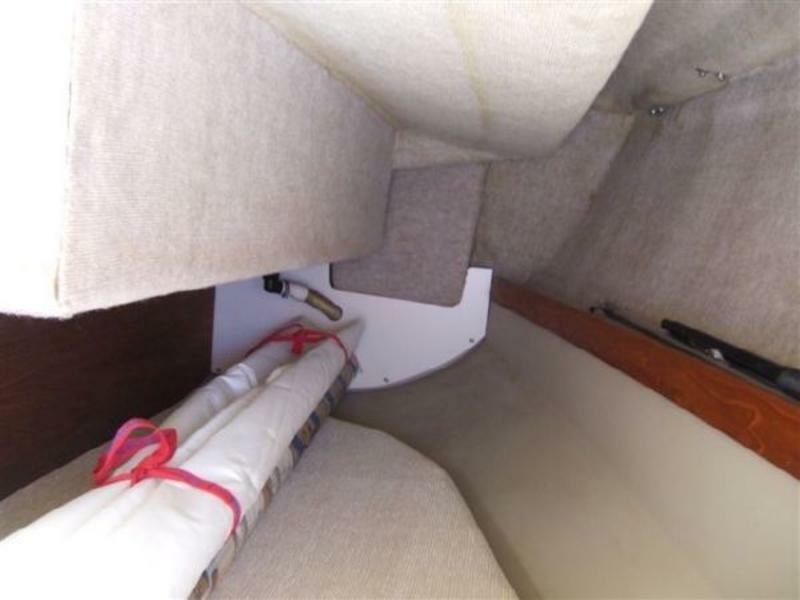 Features include: Newer Ullman Mainsail with reefline and an Ullman Roller Furling headsail 140%, both with UV Protected covers, Furlex Furling System. 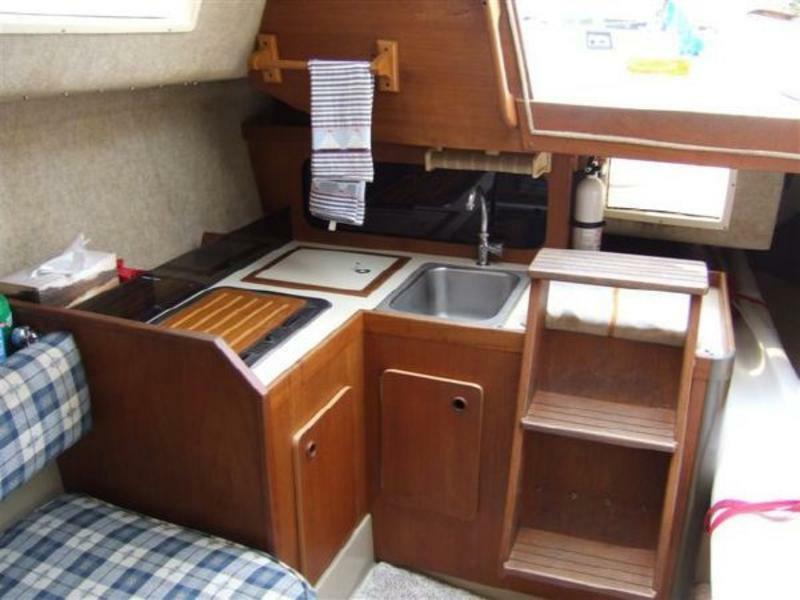 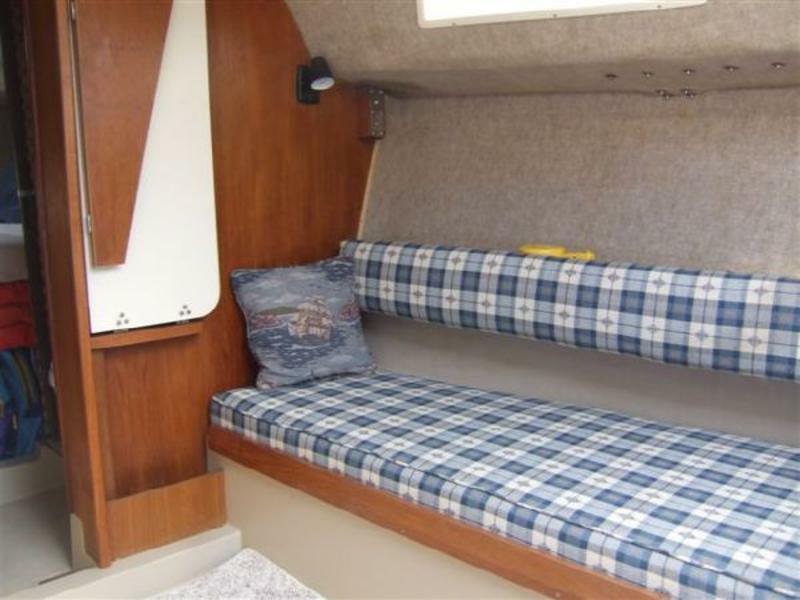 Interior included Head w/separate Vanity & Sink, Forward V-Berth w/Filler Cushion, Aft Cabin, Port & Starboard Settee cushions newly upolstered, Large Drop Down Dinette Table and Sleeps 3/4. 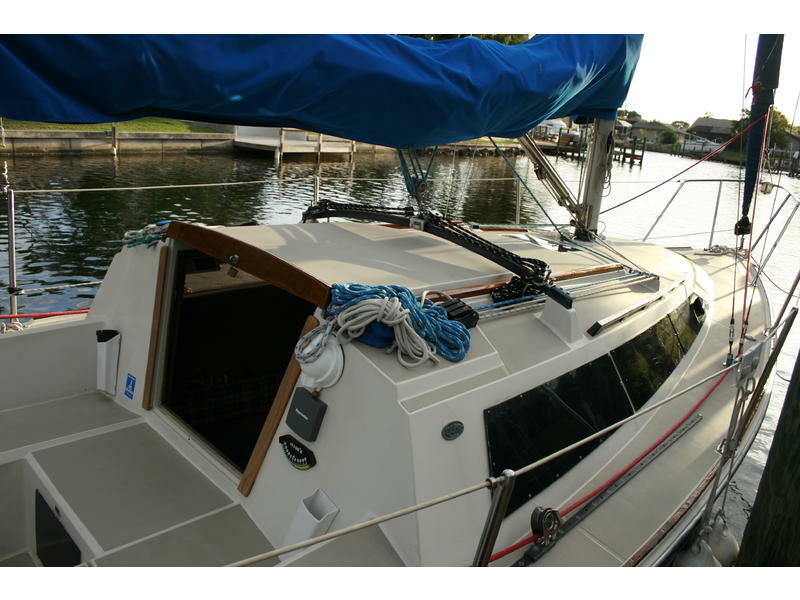 This boat is in extremely good condition with many quality upgrades. 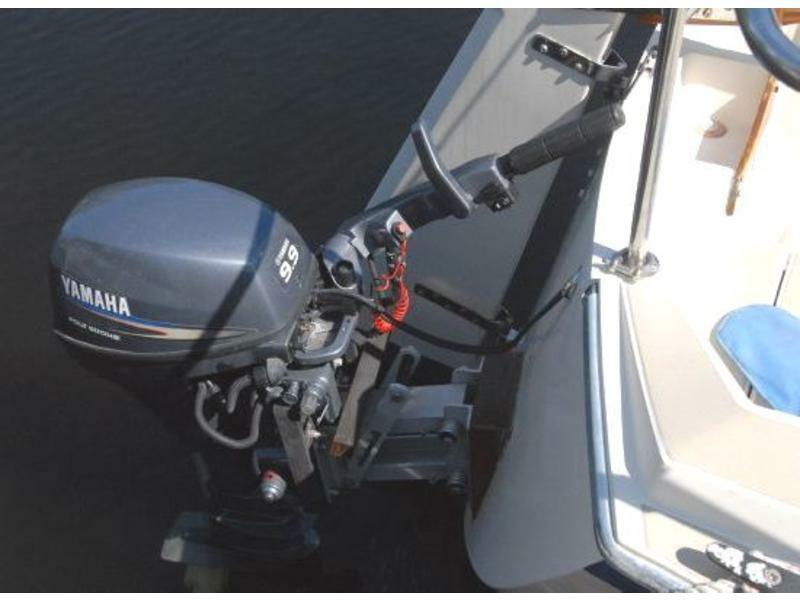 The 2010 Yahama Outboard Engine with extended warranty, provides worry free motoring. 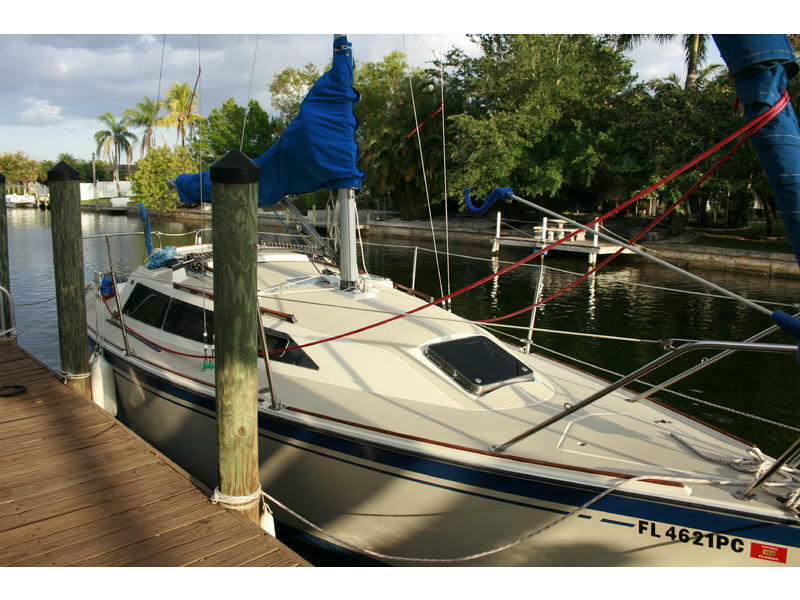 1 main 3 gal tank, 1 auxiliary 2 gal gas tank. 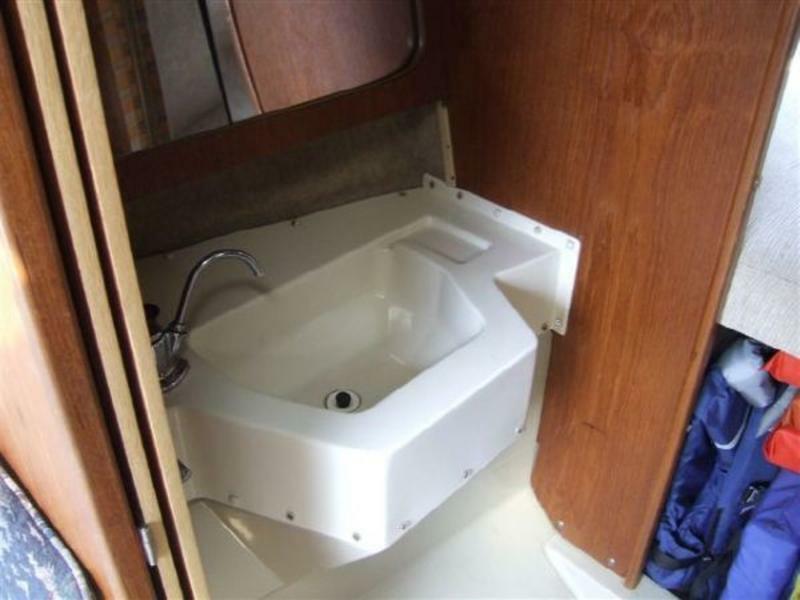 Fresh Water Tank-25 gal,10 gal Holding Tank with pump out. 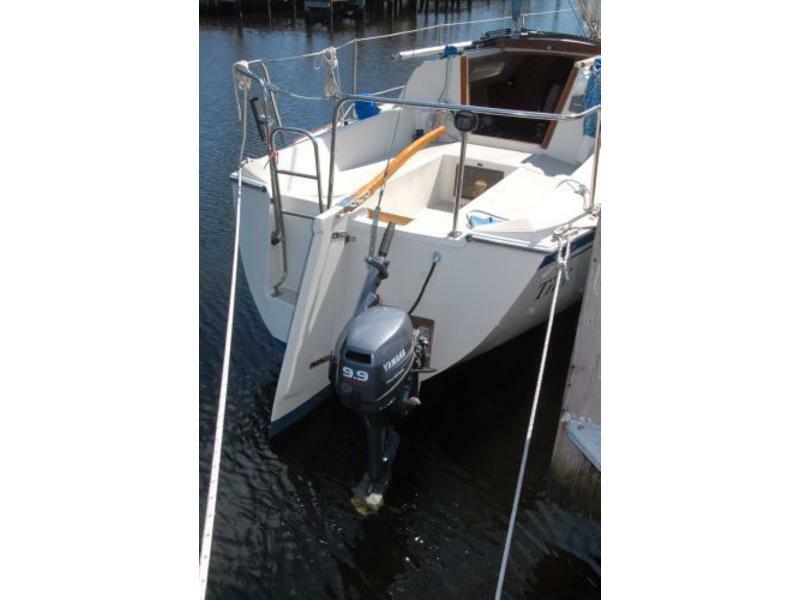 Horizon VHF w/Mast mounted antennae. 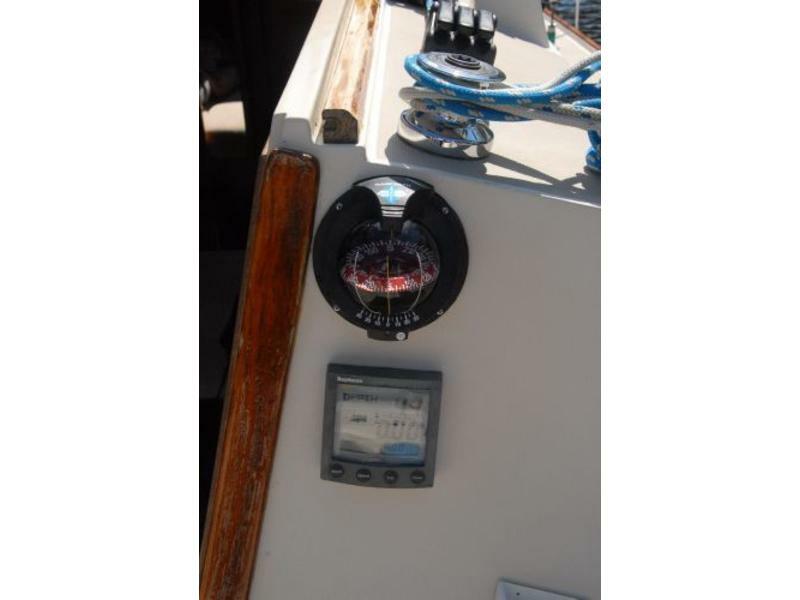 Plus many other accessories come with the boat. 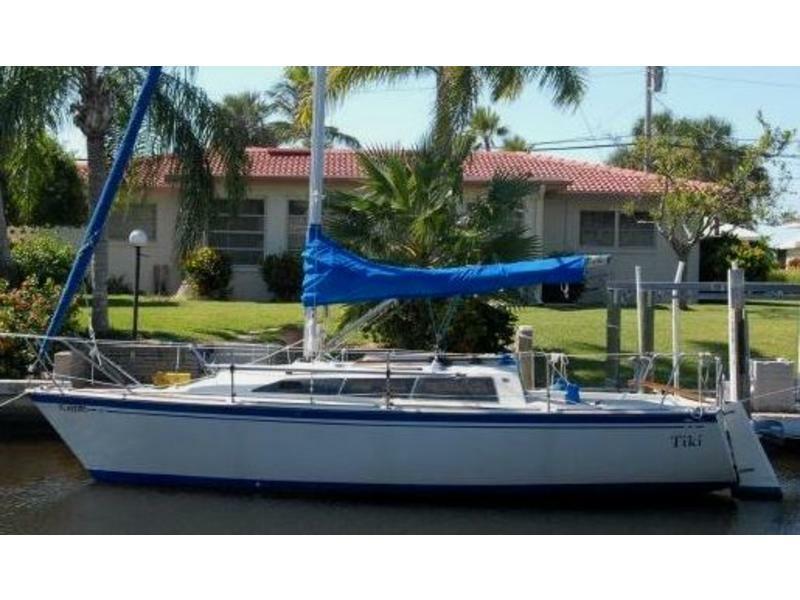 TIKI is in ‘Sailaway’ condition.